With all of the rule changes imposed by the federal and provincial governments around mortgage financing and real estate it may be more difficult to access financing. But don’t take it personally – sometimes it’s not you it’s the property. When lenders underwrite your application for approval they look at you as a borrower but they also evaluate the property. Here are some things to consider before you purchase. The type of property –– house, condo, duplex, heritage, etc. Especially for condo properties the lender (and insurer if required) will look at the age of the building, the history of maintenance or lack there of and the location for marketability. Some lenders will limit their exposure with a maximum number of units in a building or avoid lending on buildings after a certain age for the property. Properties with more than 4 units in them such as a 5-plex will be considered commercial real estate and the lender will evaluate on that basis. Heritage homes (registered or designated) require a more detailed review and special consideration for financing. Leasehold and co-op properties also have specific requirements for the maximum loan to value so more down payment may be required. More documentation will be required and interest rates will vary. The location of the property— lenders always consider their risk in each market. If the location limits the potential resale value for the building in the event of default by the borrower they may not lend on that property. Some lenders will reduce the loan amount for a building located out of major market areas or add a premium to the interest rate. For properties with water access only or with no access to municipal utilities (water, heat, light and sewer) more details are required to assess the lender risk. Insurance coverage, water testing, seasonal access and condition of the property will be strong considerations. The use for the property-— personal or investment, recreational, previous activities. If the owner occupied house has a suite then rental income may be considered. If the house is purchased for investment then rental income is considered and the interest rate for rental rather than owner occupied is assigned. In these cases the rental income can increase the resale value of the property. 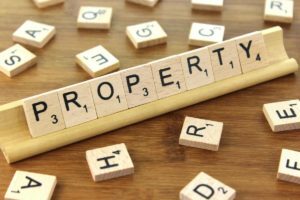 However, the appraisal of the property will be reviewed to ensure the condition of the property and if any renovations were completed to add value. In the case of a condo the property may have a commercial component in the building (shops below) or allowable space in the unit for business (live/work designation). In these cases some lenders may not have an appetite for financing. In some cases the lender may allow with approval by the insurer (CMHC, etc). Purchasing a second home for recreational use will require a review if it is seasonal or year-round access. If the property requires renovations the extent and cost to value of the property will be considered. It is very important before you start looking at any property to talk with your independent mortgage broker. This allows you to discuss the specific requirements for any variation in the type of property you may want to purchase and allow ample time for a full financing review before subject removal on a purchase. If you shift from a standard condo to a lease-hold property your down payment amount will likely change. If you want to move to a small rural town in BC or to a small island you may have to pay a higher rate or have less options and more documentation required on the property. If you buy a home in BC but may be transferred to another province some lenders such as credit unions are provincially based so you can’t port the mortgage. If the condo you wish to buy has no deprecation report, a low contingency fund or big special levies pending these will all be a red flag for the lender and should be a strong consideration for you as a buyer. A more thorough review will be required. Always consult an experienced independent mortgage broker as your trusted advisor for all of your financing needs. You will appreciate the difference in the level of expertise to help you make an informed decision.